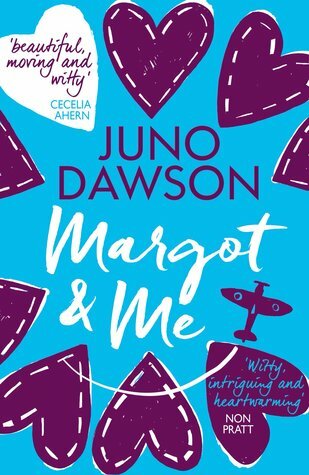 Today is the day when Margot and Me by Juno Dawson is published! Hoorah! *throws confetti* I am already half way through this book and absolutely loving it. 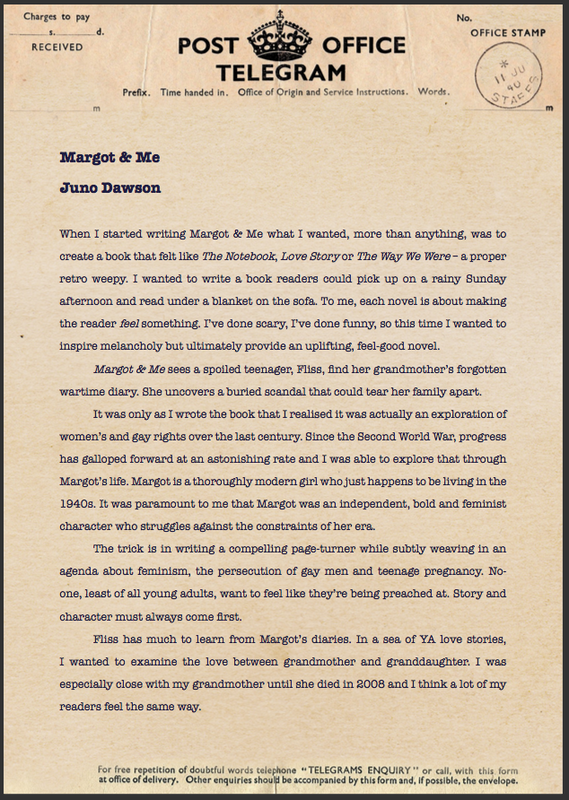 Each book Juno writes, knocks her last one off the spot of being my favourite! Every book is so unique. To celebrate publication, Tina from Hot Key Books has kindly allowed me to post this telegram written by Juno, which was sent out with all the proofs. This gives you a real feel of what the book is about. Thank you Juno and Tina for allowing me to share this today.